James has been documenting his recent crystal growing addiction. We grew some around some leds and connected them to capacitive sensors and an aura chip to create a mind reading device. We are also experimenting with using crystal as joinery. 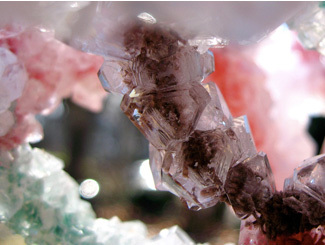 All of these crystals are alum crystals grown within 24 hrs. I think James should use this paragraph to write down his thoughts on energy and materiality. I will bug him about it.